I love interacting with people. It makes me happy. Don’t get me wrong. This is not being lazy or the result of running out of time. I actually started writing this a couple of days ago and tried to figure out what I wanted to do with my nominees. I looked around and thought about the blogs I visit regularly. I thought about the blogs I only just discovered. Now they all have one thing in common: They are all creative. Every blog is. It does not matter if you blog about art, lifestyle, photography, animals… you name it. Every blog is creative. So why should I narrow it down? 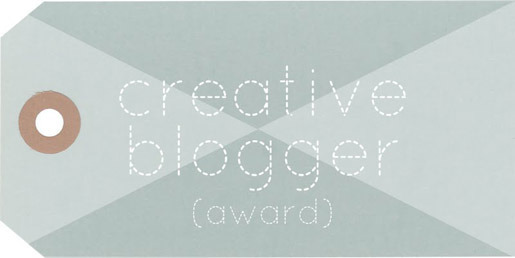 This entry was tagged Award, Blogging, Creative Blogger Award. Bookmark the permalink. Oh, P.S. Did forget to congratulate you on the award! Well-deserved! Loved all your facts, but is nr 1 is for real? Seriously? If the titanic were sinking, and the only way to save myself were to go to the gym, I’d freeze with Jack at the bottom of the ocean. Okay, maybe not that much, but you get my point.